Twin foals Poppet and Fudge, born in New Zealand in 2015. The smallest of the foals, Poppet, needed three weeks of intensive care by her owners. In the past, twin births have been known to account for up to 30% of abortion rates in horses. Although the incidence of twin births is low at just 1-2%, when it does occur, it can cause serious health and welfare consequences and result in economic loss to owners. US-based equine reproductive specialist Dr Karen Wolfsdorf discussed techniques that horse owners can carry out to avoid twin losses during this week’s Australian Veterinary Association’s Bain Fallon Memorial Lectures. According to Wolfsdorf, while the incidence of twin births in the equine population is low, surviving foals are usually weaker, more susceptible to infection and slower to develop. “Fortunately, with the use of ultrasound and an increased understanding of the mechanisms involved in twinning, better approaches to avoid twins being born have been developed. “Early detection is key. Twin pregnancies can be detected between 13 and 15 days of gestation when the embryonic vesicles are still mobile and can be managed by the equine reproductive veterinarian. After 16 to 17 days, the success rate of reducing the twins to one viable singleton varies. “Most mares that are carrying twins will naturally abort between 7 and 9 months. However, this places mares’ health and welfare at risk through dystocia, cervical tears, retained placentas and other complications. The present breeding season will be lost, as well as the mare may have decreased fertility the next breeding season. “While some mares successfully carry twin pregnancies to term, the high risk of complications during pregnancy or delivery warrant intervention,” Wolfsdorf said. President of the AVA’s Equine Group, Dr Ben Poole, said it was critical that horse owners consult their veterinarian to formulate their mare’s breeding and preventative healthcare program. A well-managed breeding program helps to avoid twin pregnancies. 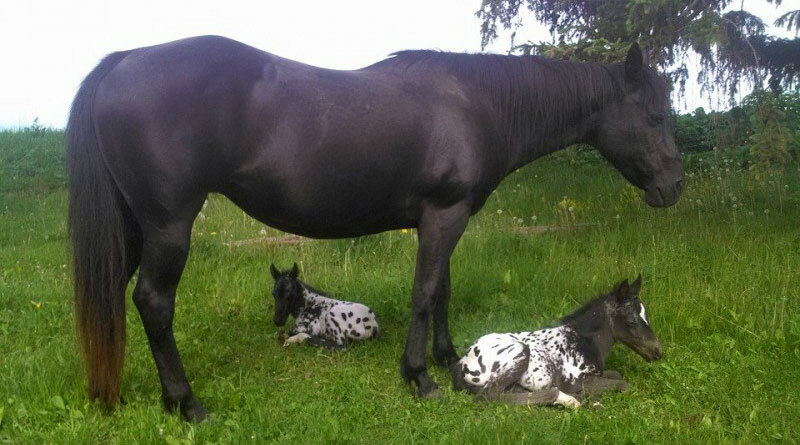 “There are a range of breeding techniques that horse owners can implement to avoid twin pregnancies. Veterinarians can also help to manage early pregnancies so that no mare delivers, or aborts twin foals and adverse health and welfare risks are avoided,” Poole said.